Helmet is constructed using super-strong, lightweight machined aluminum visor screws and stainless steel rivets and D-rings for superior strength and years of worry free use. Multi-port air induction cooling system includes 13 intake and 6 exhaust vents that create massive airflow to keep you head cool. Hi-Flow Mouthpiece allows plenty of air flow and is replaceable. DOT approved – Meets or exceeds the toughest safety standards on the market. WE had some warm days in the upper 70s this winter(dont hate me!) with full sun. This helmet was every thing I hoped for.Covers up my ugly face & made me look like a rox star! Very nice helmet, and affordable price. Very nice helmet.alittle tight at first but after wearing it afew times it’s very comfortable. I just bought my first four wheeler, so for the same reson this is my first helmet. 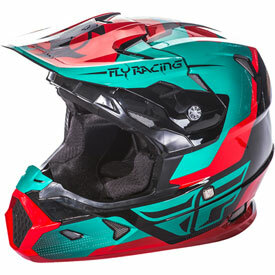 I like it allot and if I ever need to buy another helmet I would buy the same one if possible or at least stick to same brand (FLY RACING) overall very nice helmet for the $$. Another satisfied customer with a quality product. Very pleased with the helmet. Fit and finish are flawless. Fits good , light weight has plenty of padding for comfort the straps are good field of view is great. I would definitely recommend fly products to all ages. Fly helmets are awesome quality at a really affordable price for weekend atv riders like our entire family . I would most certainly recommend this to someone . Our son got us using fly helmets years ago and I think that was helment number 4 for my wife. Got this for my youngest son, its light, comfortable, and colorful. He loves it! The Toxin helmet fit snug and very true to size. Would definitely recommend if you’re wanting a great helmet for an even better price! Very nice helmet for the price! If you fall between sizes go larger. I picked a small for my wife and had to return it for a med. Return was painless! Thanks RM! I love this helmet. My husband is jealous and will be buying one. It fits great. After having it on for over an hour of riding I had zero sweat and zero discomfort!! Great helmet for the money! Has very nice features of a high dollar helmet for value price. Got this for my birthday and love it. great fit, cool style can't wait to race in it. What is the weight of a size medium? Do not purchase this helmet! BEST ANSWER: Newer models do. The one I purchased does not. Would this be a good helmet for trails? BEST ANSWER: This helmet was purchased for my wife who is of medium build. She uses it mostly when dune running in Arizona or California. She indicates that it is light weight enough and yet offers very good protection. It is well padded in all areas. 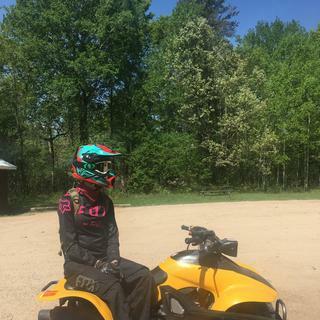 She is used to wearing Bell Moto's in the past and decided to go with a helmet that was lighter weight and had a wide open side sight area even when wearing goggles. We think it is well worth the money and would purchase one again. Jamie. I ride Enduro and the halmet is great. 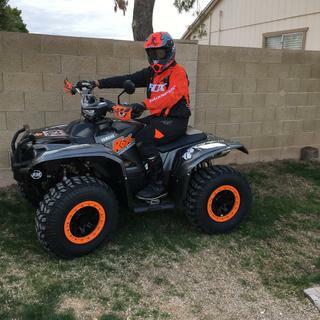 Remember, with all full face lids there can be restrictions in some areas, so id say if your used to a full face lid riding trails this is a good choice. Yes, very much so. I use mine all the time. As long as they're DOT certified which these are. Yes. I use mine for the single track and works great. is there too much ventilation to be used as a snowmobile helmet in cold weather? BEST ANSWER: Unfortunately yes. It's designed for warmer riding. It has multiple vents on the chin and sides that can not be closed. Why cant i get it in xl? 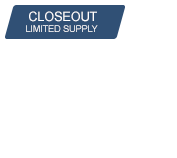 BEST ANSWER: These helmets are being discontinued so the sizes and colors available are all we have left in them. I'm sorry for the inconvenience.